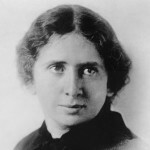 Her phrase “bread and roses”, recast as “We want bread and roses too”, became the slogan of the largely immigrant, largely women workers of the Lawrence textile strike. 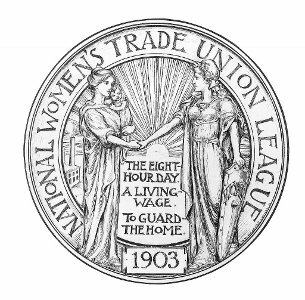 Along side the work of the WTUL, Harriot Stanton Blatch (Elizabeth Cady Stanton’s daughter), founded the Equality League of Self-Supporting Women (later the Women’s Political Union) in 1906. Her goal was to organize working-class suffragists in New York City. In 1910, they organized the first large-scale suffrage march in the United States, in New York City. Blatch was right on the money in her focus on working women. 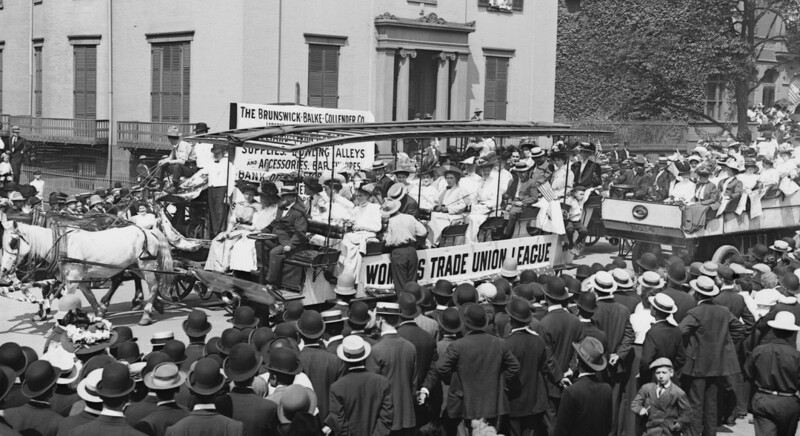 Male and female laborers alike understood the need for the vote as a way to represent their interests and concerns through elections and referendums. Any trade union man can understand why some women want to vote. The cruel laws that bear on labor, and especially on women, show the need to her. Any trade’ union man can understand why some women do not want to vote. The women who have never suffered not toiled nor thought, may be excused from voting. 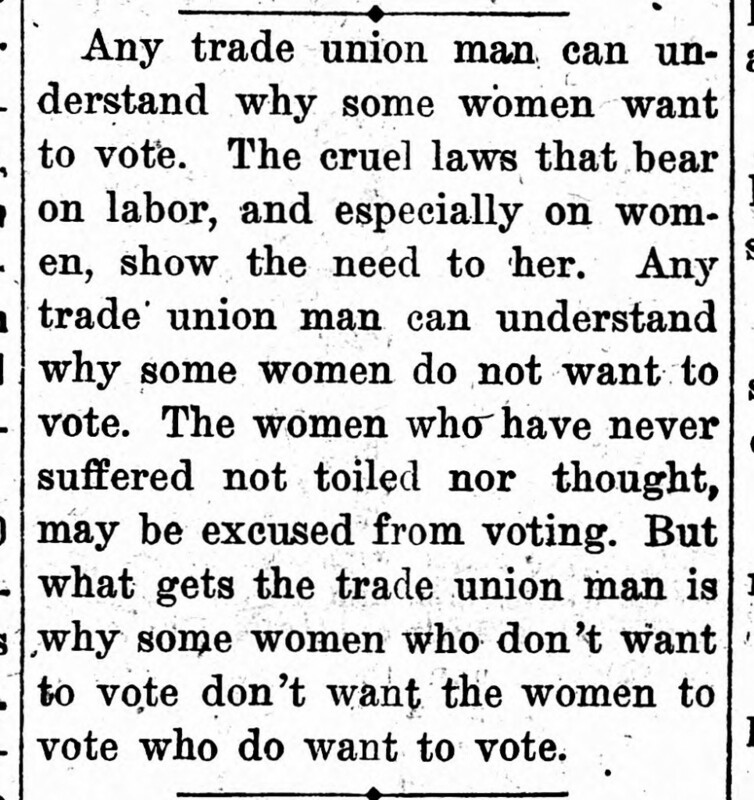 But what gets the trade union man is, why some women who don’t want to vote don’t want the women to vote who do want to vote.